As any car geek knows, the mid 1970s through the late 1980s were not the best years for cars in the US. New safety regulations and emissions requirements meant slower, heavier, less fun cars. Development money that might have gone towards design and performance in the past, was now used to meet the new regulations. Mercedes-Benz had always been an icon of engineering, but even they struggled to meet the new regulations. The US spec 450SL was a nice, well built, boulevard cruiser. 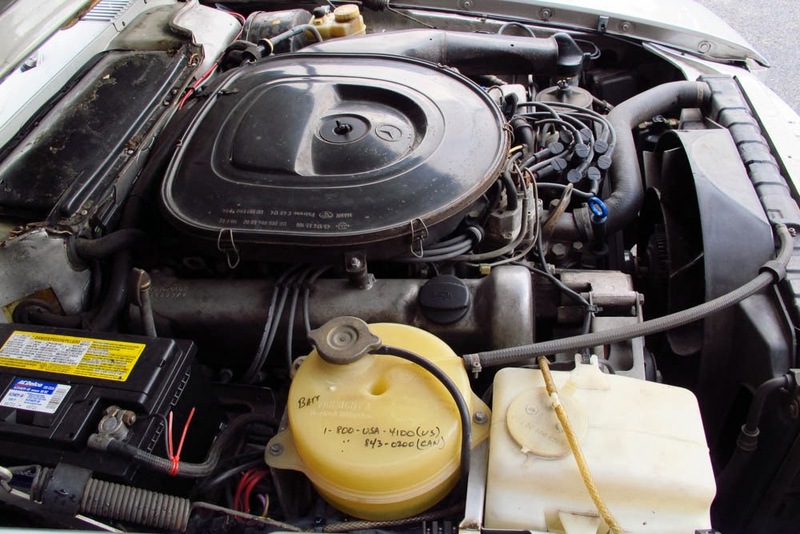 Depending on the model year, the 4.5 liter V8 put out 180 - 190 horsepower. Respectable under the circumstances (a mid-seventies L82 Corvette only produced 205 HP), but hardly exciting. 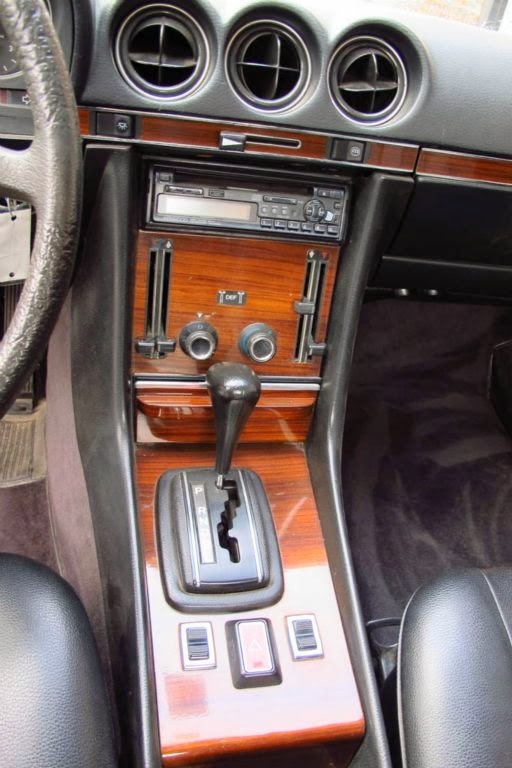 To make matters worse, the new US mandatory equipment added extra weight to the car. Things were different in Europe. If you had the money and wanted a better performing SL, the gray market was the place to go. More than a few US buyers did just that. 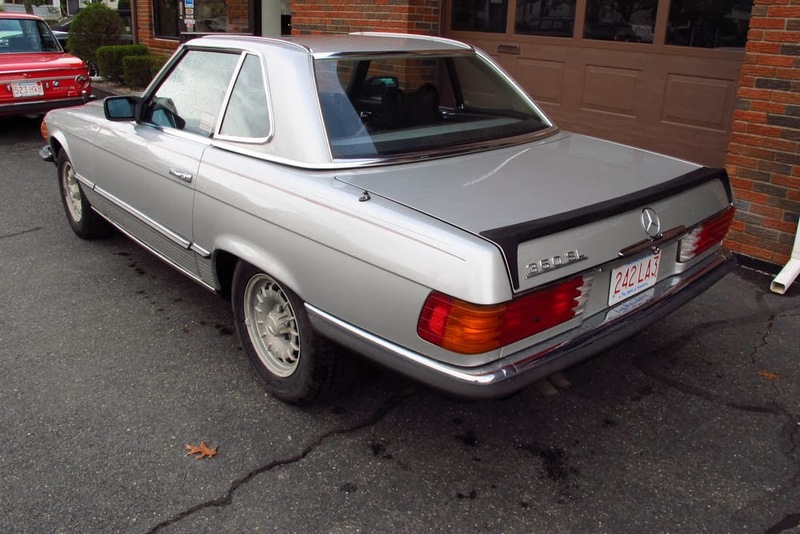 This 350SL is a gray market car. 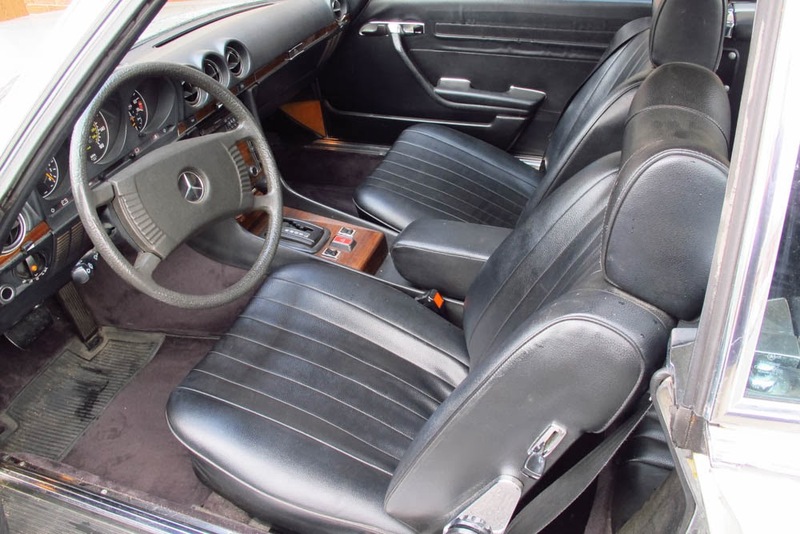 The 3.5 liter V8 in the 350SL only produces 200HP, but the car is lighter and nimbler, making it feels a lot quicker than the US 450SL. The slim European bumpers make it look much better, the way Mercedes-Benz intended it to look. 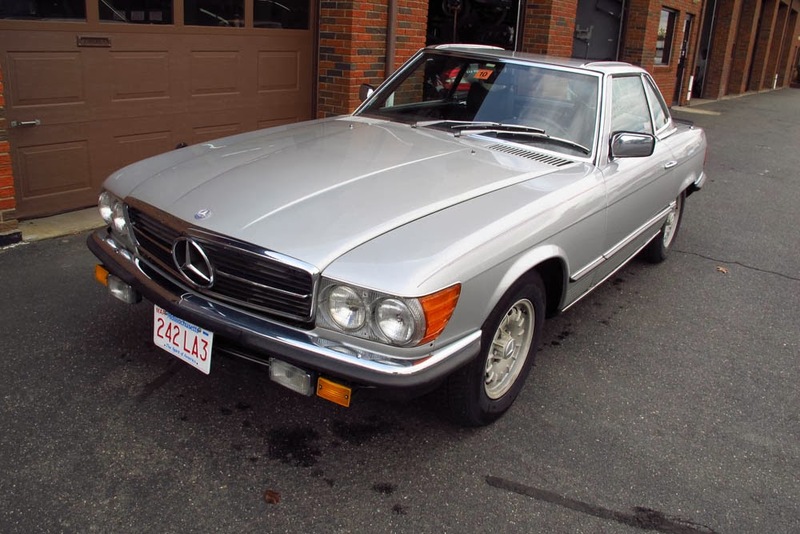 This 350SL is being offered by JE Robison Service, in Springfield, MA. (More on that in a bit.) 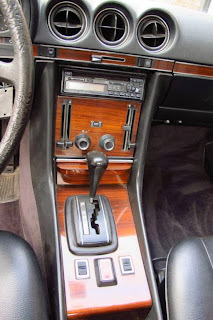 The true mileage is unknown, as the European speedometer was replaced by one reading miles per hour. The body looks to be in very nice shape, as does the interior. It has the manually operated climate controls, which is a plus, as the automatic climate control system found in the US spec cars tended to be troublesome. The air conditioning is not working at the moment. John Elder Robison is an interesting guy. Besides owning JE Robison Service, a well respected independent Land Rover, Rolls-Royce and Bentley repair shop, he is a best selling author and an advocate for people with Autism and Asperger syndrome. He runs the TCS Automotive Program for high school kids out of his repair shop in Springfield. I have met him twice, both times very briefly. He came off as arrogant and pompous. A friend of mine has a child who was recently diagnosed with Aspergers. She was telling me one night about a "wonderful" book she was reading about the disease. She said it was written by a man named John Elder Robison. I mentioned that there was an automotive technician in Springfield by the same name. "That's him! He has Aspergers!" she exclaimed. My initial - very wrong - impression of him now made more sense. In talking with car geeks in the area, I have learned that John Robison is a polarizing guy. Some love him, some - maybe those whose initial impression was like mine - can't stand him. But, everyone says he does great work. Based on that, I would not hesitate to buy a car from him. You'll need to go to his website to see the car. You can find it here. Scroll down a bit. You'll see some other cool cars on the page, too. Another nice thing about the euro-spec SLs and SLCs is that without the climate control set-up, you seem to get (I'm only speculating here..) dual zone heating- which seems like far more useful equipment.